Helping people find their way home. Providing sustainable solutions & outreach programs for families of Henderson County, North Carolina. The Housing Assistance Corporation is a private, non-profit organization committed to providing safe and affordable housing for persons of limited income living in Henderson County, North Carolina and surrounding areas, because we believe every human being deserves the opportunity to live in a decent home. 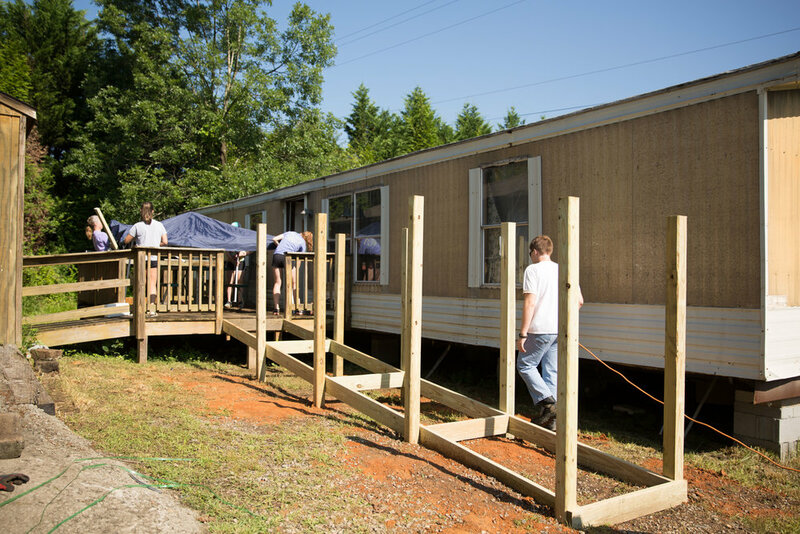 We strive to make a difference in the lives of our community by working on new construction projects, designed to put families into homes that they might not otherwise be able to manage. 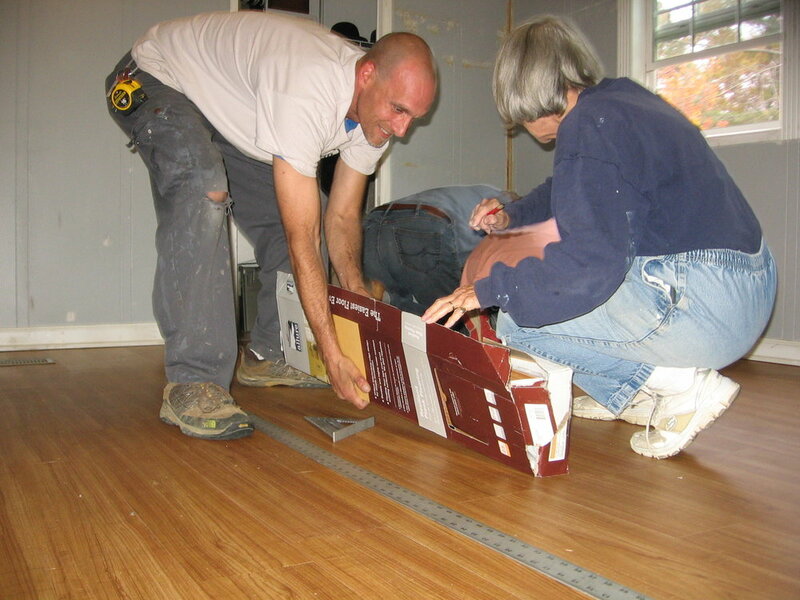 We also enhance our community by doing numerous volunteer projects such as home repairs for the disabled and elderly. 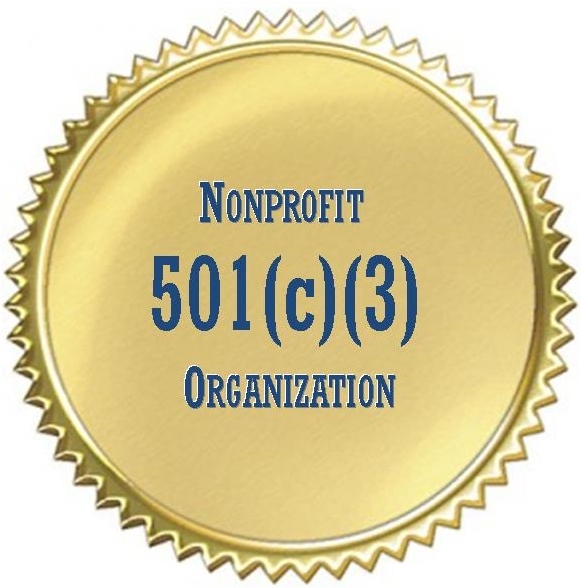 We are a non-profit organization, which means we are eagerly searching for donations and volunteers to aid in our work. If you're interested in getting plugged in, we're here to help! More than just a housing solution. The families that benefit from Housing Assistance volunteer programs, experience a long-lasting & positive impact. Unlike similar opportunities, Housing Assistance volunteers and the assisted individuals benefit from hands on projects and education that can lead to more positive living circumstances & personal growth. The home repair sect of Housing Assistance is where outreach & volunteering collide to change the lives of our counties residents. Home repair projects often perform tasks such as making a home wheelchair accessible, securing flooring and replacing roofing. Fundraising is a critical component of our organization, without our sponsors, donors and volunteers, we are not able to reach and impact nearly as many people on our community. If you have experience or and interest in fundraising, we can get you started working with Housing Assistance. If you have an architectural, contracting or handy-man background then you are a perfect fit to volunteer for our home repair program! We are never not in need of more hands on deck when it comes to our thriving home repair program. Stay up to date with Housing Assistance. We host many volunteer events, groundbreakings, classes and more! Keep up with all of our activities here. April is All About Donuts! The Sisters of Mercy of North Carolina Foundation Awards HAC $35,000! Need Help During Inclement Weather? We are extending the application period for the Esstential Single Family Rehab. funds!